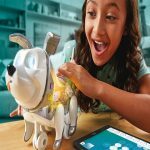 TIA identifies 5 Top Trends of 2016 at Toy Fair 2016. At Toy Fair 2016, we are celebrating the creativity and innovation of the toy industry. 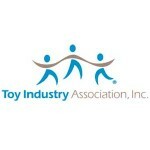 Every year the Toy Industry Association (TIA) looks at the trends. According to the TIA, the top trends of 2016 include robots, drones, family toys and games, and creative toys. 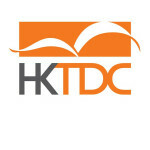 The trends experts held a seminar at the 113th International Toy Fair. This year tops toys will be filled with everything from tech toys to classic toys. The best toys of 2016 are toys that help a child’s development while still having an element of fun. Many toys are allowing parents and kids to play together. Here is a summary of the 5 top trends along with a few example of each. As you walk the floor, this year’s Toy Fair is all about technology. This year we are seeing a lot of drones, robots, and toys to life toys. Whether these toys are flying through the air or roaming on the ground, these toys let kids do some cool things. Kids will learn coding, engineering, building, and problem solving skills. We are seeing developmental benefits of these toys at a very early age. Developmental experts say these toys are some of the best toys for preschoolers. These toys combine innovation with affordable technology, creating an interactive experience for children. There were so many tech toys at Toy Fair 2016. Here are some examples. It’s equipped with a high def camera and can fly for 7 minutes. Both the controller and drone are the size of an iPhone 6. It’s designed to be small, affordable, and super lightweight. The best part? It fits in your pocket. This is a talking remote controlled robot. Each robot has its own personality and it is a fighting robot that children control with their hands. It reacts when its in battle. It knows when it is winning or it is losing. There is a light on the robot’s chest that shows its health. It’s a robot that kids can connect with and control. This is a robotic pet controlled toy that works off a smartband. When the child wears the smart band, the toy dog will follow kids around. He can dance with you. He’s totally customizable. Though play, the dog creates an emotional connection with your child. After he follows you around, he will let you know if he needs to be recharged. This toy puts the galaxy on your child’s wall. It comes with an activity guide that can show your child what they are seeing. When your kid puts on the glasses they are immersed in a completely different world. With the glasses on, kids can see 360 degrees around them and even see the milky way and the whole galaxy. This remote controlled helicopter is totally voice activated and it comes with 8 missiles that can fire out of it. Kids use their voice to control it. They can tell it to fly up, turn left, turn right. Say “Missile fire” and it fires a missile. The programmable robot teaches kids how to program in a fun and visual way. To start program hit the top button and Dash springs to life. Use the robot’s sensors to learn about programming. Conitoys Dino is speech based educational dinosaur with IBM technology inside. It is totally screen free. Children can talk with it. He builds more content and vocabulary over time to tell jokes, ask questions, and become a robotic friend. Obviously tech is huge, but toys are up in every category. Classic toys like board games and puzzles are here to stay. Some classic toys have been reimagined with new twists that make use of technology. Families are playing with each other in a of variety ways. These toys help bridge the gap between parents and children. When you think family, you think of family board games, but there are other creative ways that toy makers are using to bring families together. This baking line actually uses real ingredients that you have in your kitchen. Kids love to do what mom and dad do so what better way than use items in the kitchen. It comes with cool features like a kid friendly mixing bowl, which suctions to the table so kids won’t knock it over. Kids can make mini cupcakes, donuts, rainbow cookies, and more. These look like shakers but they are actually 10 minute games that families can play over the dinner table. It’s creative, inventive and cute. It’s great for game snacking and playing on go. This comes with a backdrop and some creative role play items. Kids can dress up, but there is also a movie making element. It comes with fun props like a dinosaur tail and a pirate hat. This actually came out around the holidays last year. Props in a Bag is smaller version of Props in a Box at a lower price point. You can still use the app to make movies. It is a fun way for families to connect. Mom and dad can be in the movies or record their kid. Kids have been dressing up forever so this is a really fun new take. This toy comes with different cards that allow kids to tell a story. It’s a really fun way to create a story and it encourages families to play together. This is similar to Elf on the Shelf. It’s big in Ireland. It comes with a fairy. You actually register your child’s fairy. Kids will name their fairy and leave treats for the fairy. There is an online component where the fairy will remind you of holidays and birthdays. It will come up with new activities that the family can do. It’s like a toy pet at home. With the Selfie Mic, you can karaoke and create your own music videos at home. It will have downloadable music, popular tunes, and your mom, dad, brother, sister and anyone from 3 – 65 will enjoy playing with this. STEAM is short for Science, Technology, Engineering, Arts, and Math. Toys that teach those 5 areas are very big and trendy right now. Parents and educators love them because they not only teach kids, but also enhance the learning experience. STEAM toy are great for developing critical thinking, spatial, problem solving skills. Even though some of these toys may focus on specific areas, all of them have a creative component to them where kids can make the toy their own. This is one of the newest additions to the Mighty Makers line. 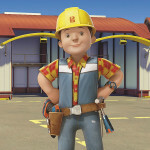 It is great for engineering skills because kids have to build the set and figure out how to connect all the pieces. It’s fun to figure it out on your own. It has a stand that allows you to place your phone inside and you can film a movie. You can then put the phone inside the big screen and watch it with friends. This game is geared to enhancing kids’ math skills, but it is fun. Kids have to figure out the different math problems and they slowly progress. Whoever gets to the end first gets to explode the volcano. If that is not a motivator to get those math problems right, then nothing is. This is a microscope where the magnifying is done by your camera app on your phone. All you do it turn on your phone and align the lens with the phone and you will see whatever you have under the lens magnified. You can put anything in there to take a look at it. It’s small and portable. It’s good for kids to take outside and explore things in the world around them such as small insects, leaves, coins, and more. This buildable forklift will lift a ball around. Children have to build the toy and then can play around with it. Besides the building component, children will learn engineering concepts that go with operating the robot. The robot can also be motorized and it can be combined with the other robots in the line to create one big robot. This is a game that teaches kids how to code, sequence, and think logically. The mouse has different programming sequences that kids can use. The goal of the game is to get the mouse to the cheese. The child has to figure out how she is going to do that. There are little cards that teach you what the different steps are. This is part of their grow line. It’s an activity kit that allows you to get creative with planting. Kids can color it and then put plants inside. It teaches you the science of growing plants. These are magnetic building blocks that have 3 different components. You can build what you see on the box or make your own creations. It has an actual character and it comes with a story. It’s the story of the space guy and illustrated by a 16 year old artist. Aside from the building experience, kids can use their creativity. Collectibles have been a long time favorite for children. In 2016, we are seeing these collectible toys just about everywhere. Some kids love collectibles because they identify with their favorite characters. For other kids, it’s about socialization. Kids are using these collectibles to trade and hang out with friends. Playing with collectibles is educational as it teaches children perseverance, organization, and even negotiation skills. When you think collectibles, you think train sets. When you think of trains you go to Lionel. This one is Mickey themed with popular Disney Characters. These mini figurines are incredibly detailed of models of kids’ favorite sports players whether it is soccer, MLB, NHL, or the NFL. Kittie Club and Zomlings are play building set collectibles that come in blind packs. Kitty Club comes with 21 different kitties. Zomblings have over 100 characters. Each one comes with an ID card that reveals your character’s name and personality. The Zombling blind packs are little house for the zombies. It’s not only a pack but something kids are going to want to play with. Featuring characters like Batman and Superman and even Star Wars characters, these large figures come in 18 inches or 31 inches. They are collectible figures that are more like dolls. Kids are going to love to collecting all their favorites. Kids love to create, but there are so many ways to create from cooking to designing. This is a vast trend giving kids the ability to make movies, sew, paint, and more. With this kit, kids can invent all types of toys. What better way for kids to express their creativity than to create something that they want to play with. It comes with different wheels, duct tape, Styrofoam, rubber bands, and more. Using paper, kids can create their own battling robots. It comes from Klutz, who is well known for their creative books and projects. Kids can make amazing creations out of puzzle pieces. This takes the classic craft activity and merges it with puzzle play. Kids can go to a kiosk and be able to design their own toys and bring them home with them. This 3D pen heats up but is completely safe. With it, kids can build creations in 3d like an Eiffel Tower. It’s a spin on 3d printing that takes artwork and crafts to a whole new level. 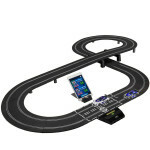 Kids can build their own tracks and use the remote controlled car to ride on the track.